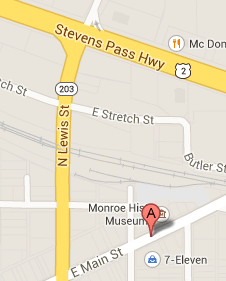 Monroe’s United Methodist Church, then called the Methodist-Episcopal Church, was the first church in Monroe. Members began by meeting in Austins’ barn until 1896 when they completed a handsome, white church and parsonage on South Lewis Street, which was replaced by the present handsome brick church in 1924. At first members were led in worship by circuit riding ministers, who served a number of parishes. For a number of years the ME Church was the only one in Monroe, and it periodically hosted services in Swedish for the Swedish settlers. In 1903 the Holiness League bought a lot on West Main Street and built The New Testament Church, which became the second church in Monroe. Three years later, it became the Monroe Church of the Nazarene. 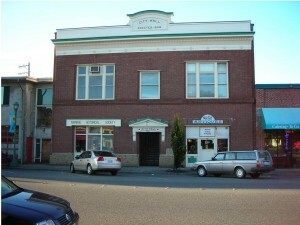 The original building has been moved slightly and has been enlarged, but it still stands. In 1905 Catholic Parish was organized and selected the corner of Hill and Madison for their church. That same year the Monroe Congregational Church was organized with 19 members and selected a site on South Lewis Street for their church. Both the Catholic Church and the long-awaited Swedish Congregational Church opened in 1906. The new Congregational Church opened in 1907. 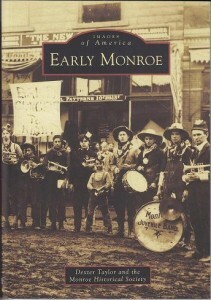 By 1911, Monroe also had Episcopalian and Seventh Day Adventist Congregations.